5 x 5 = 25. In other words: Five international experts trace a quarter of the history of photography by means of five artistic positions. The 25-year-anniversary of EIKON gives the reason to this. 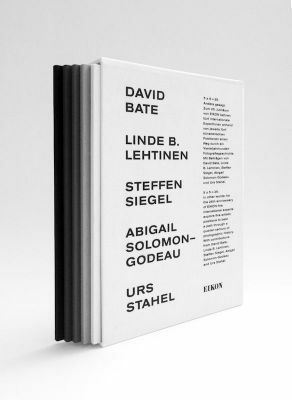 The comprehensive reference book – awarded in advance with the Bank Austria Kunstpreis 2015 – consists of five volumes on contemporary photography with contributions by photography experts David Bate (UK), Linde B. Lehtinen (USA), Steffen Siegel (DE), Abigail Solomon-Godeau (USA/FR) and Urs Stahel (CH). They seek to explore five different paths of recent, occasionally confusing, history of photography, and highlight its dominant themes.